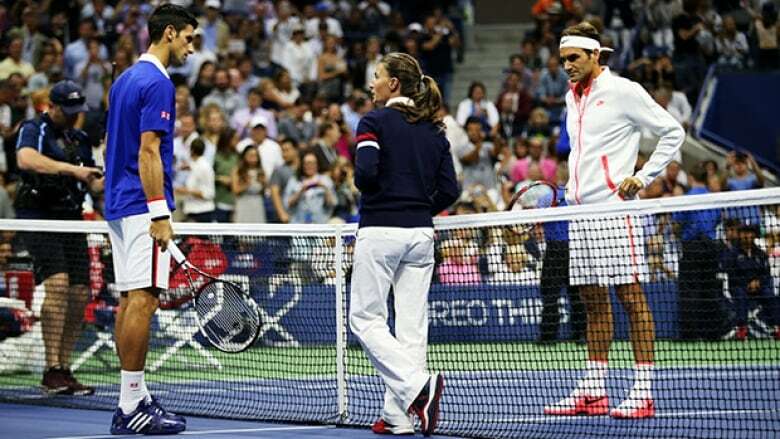 Chair Umpire Eva Asderaki-Moore made history Sunday as she became the first woman to oversee a U.S. Open men's final. The Greek official was so good in the match pitting Novak Djokovic and Roger Federer that she overshadowed them on Twitter. Everyone was very impressed by Novak Djokovic's performance Sunday night as he won the U.S. Open men's title for the second time after defeating Roger Federer. However, he wasn't the only one who had a stellar night. If you hadn't heard of Eva Asderaki-Moore before the final, you know her now as Twitter erupted with support for the chair umpire as she made history by becoming the first woman to oversee a U.S. Open men's final. The Greek official was so good at calling the match that she overshadowed the two players on social media. Eva Asderaki-Moore, MVP of the men's final..
Let's face it: the MVP of the <a href="https://twitter.com/hashtag/USOpen?src=hash">#USOpen</a> men's final was Eva Asderaki-Moore, taming a partisan crowd &amp; overruling correctly. Fellas, take note. The match didn't seem to need Hawk-eye (instant replay system), as every time Djokovic or Federer challenged an overrule by Asderaki-Moore, she ended up being right. ROGER DARES GO AGAINST EVA. ROGER IS WRONG. There will probably be more work in store for Asderaki-Moore, who also gained the respect of every other tennis player watching the final. Can Eva Asderaki-Moore please be my umpire from now on? Unreal calls tonight. Marija Cicak also deserves mention, as she did a great job overseeing the women's final. It was also the first time that two women worked both the men's and women's U.S. Open finals.